Liero doesent have string banana guns. You must be thinking of the grappling hook. 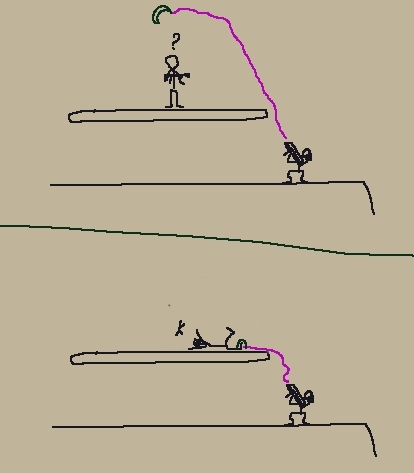 And at the same time this works as the grappling-hook you use to climb walls? does the victim die instantly or will he have a chance to escape this attack ? Does this imply that LoS is out? …good luck having strategy game without fog of war. without a really solid physics implementation this might be a real bugfest. hope it turns out good. Can someone draw a pimped out version of this image? @darDar.. It still probably reads headshots, so you may still have a chance to escape. Lets see what MM has to say. If you look its caught on his leg, not his head. Looks like a great weapon to go with the ragdoll physics. I just hope there is propper gore in LD. Loafer: lol, that looks like the star wars remastered edition. shrink you enemies and then step on them!